It started with "These Eyes" and her ear. On Friday, Canadian singer-songwriter Burton Cummings will be inducted as a solo artist into the Canadian Music Hall of Fame’s new Calgary home at the National Music Centre. 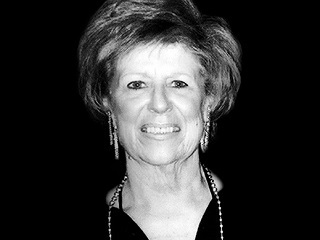 On Saturday, Rosalie Trombley (pictured), a former radio station music director who was instrumental in his success, will be honored in Calgary with the Walt Grealis Special Achievement Award. And on Sunday, at the close of the two-hour Juno Awards ceremony from the western province city’s Scotiabank Saddledome, a special tribute will be paid to Cummings. “That changed our lives forever,” Cummings said of CKLW’s airplay. Trombley’s professional imprint extended far and wide. Bob Seger wrote a song about her, while Elton John credits her with a key decision involving “Benny and the Jets.” She started out at Windsor, Ontario’s CKLW in 1962 as a receptionist.